Home > Heart Health > Heart Failure > What is Heart Failure and What Causes It? Heart failure is caused by the heart failing to pump enough blood at the right pressure around the body. 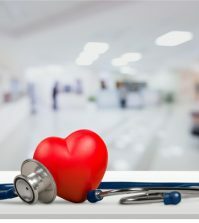 The heart muscle becomes too weak or stiff to work properly, and this means the heart needs more support to do its job. It doesn’t mean that the heart will stop working. There is no single cause, but if you have suffered with heart muscle weakness, high blood pressure, coronary heart disease, heart valve disease, atrial fibrillation, anemia, or an overactive thyroid gland, these are all probable causes. Home > Heart Failure > ¿Qué es la Insuficiencia Cardíaca y Qué la Causa? ¿Qué es la Insuficiencia Cardíaca y Qué la Causa? La insuficiencia cardíaca es causada por la falla del corazón al bombear suficiente sangre a la presión correcta alrededor del cuerpo. El músculo cardíaco se vuelve demasiado débil o rígido para funcionar correctamente, y esto significa que el corazón necesita más ayuda para hacer su trabajo. No significa que el corazón deje de funcionar.